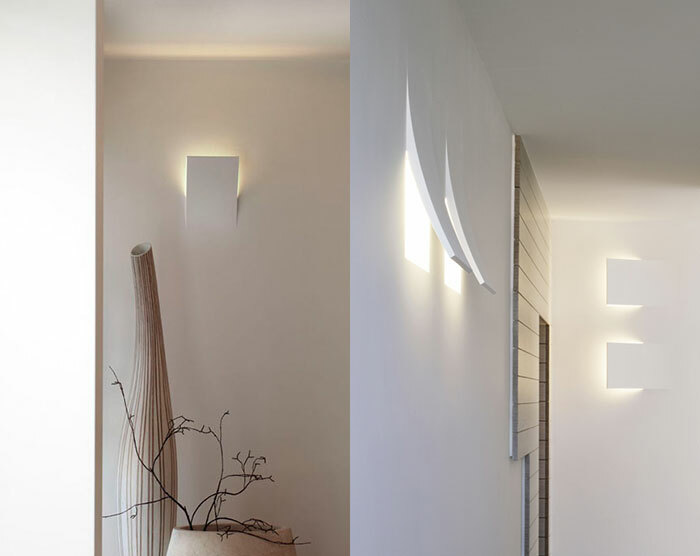 recessed light fixture for interior lighting IP20, consisting of kit with halogen or fluorescent source. 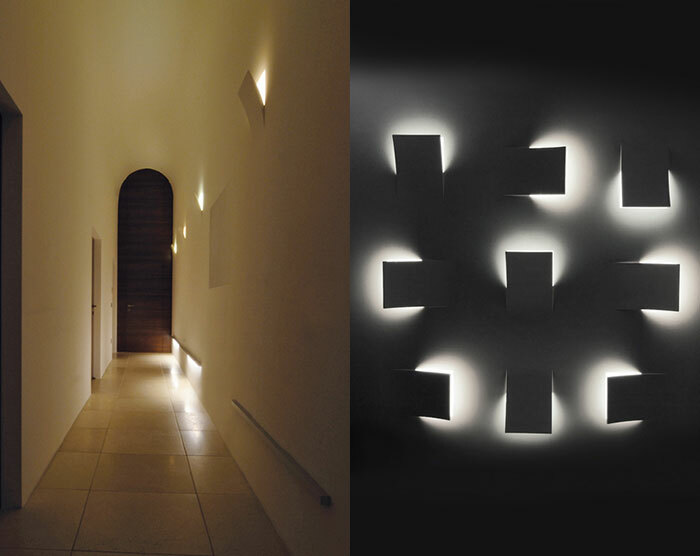 the lamp consists in a plaster body which can be fitted either in plasterboard panels or brick housing. 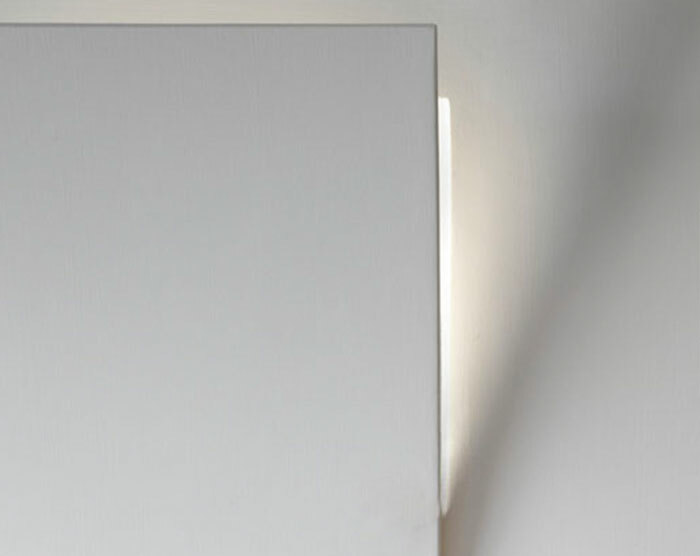 a special feature of this lamp is its capacity to mingle with the surfaces it is installed on. the plaster it is made of allows the application to the surface of the lamp’s body of the same finishing of the surrounding wall, by adopting the same materials and technique that were used for puttying, smoothing and painting the brickwork. 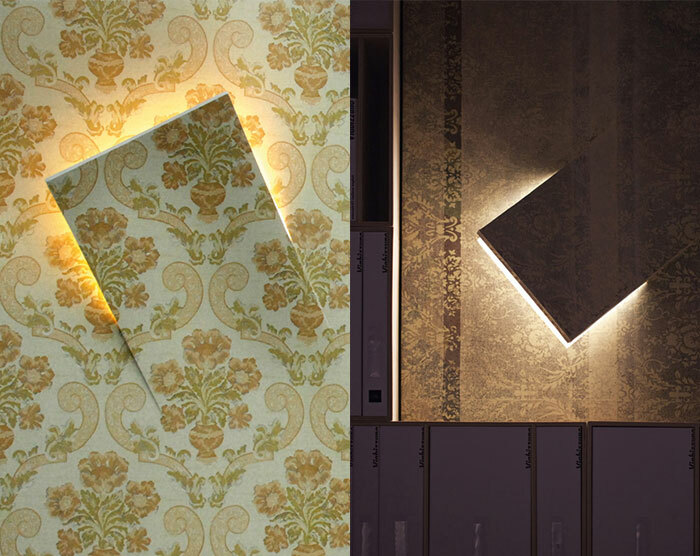 the final result is a portion of wall, which – once cut – rises as if opening a recess in which light is concealed. the light fixture has no preferantial installation direction, moreover it may be installed freely on either vertical or horizontal walls. the light which is emitted is indirect and makes use of the body’s inner surfaces as diffusers. dimensions profile: the shell is supplied in raw plaster and arranged to house different wiring kits. led 3000K 20W control gear included. supplied with tempered protection glass.